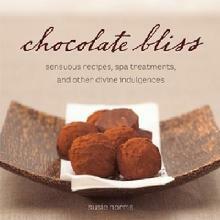 Cookbook author Susie Norris specializes in European desserts and chocolate work. She taught baking and pastry at Le Cordon Bleu College of Culinary Arts and ran an award-winning artisan chocolate business in Los Angeles a decade. Prior to her work in the food business, she was a television executive for NBC, CBS, Disney/ABC and other networks where she supervised writing and production. 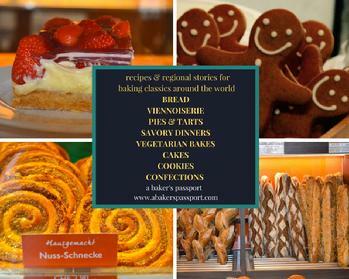 Her latest book, A Baker's Passport, (Amazon, 2019) is based on the IACP-award-winning culinary travel blog FoodMarketGypsy.com. 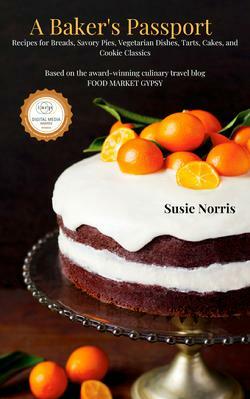 Pastry chef, instructor, TV producer, chocolatier, cookbook author and general guru of all things chocolate Susie Norris delivers a gem of a book dedicated to the culture and cuisine her favorite subject. Not only does Norris provide chocolate recipes to sate even the most demanding choco-philes, she offers an introduction to the world of chocolate that opens up the much-loved, if oft underestimated, ingredient to a wider appreciation. Norris wants her reader to get to know chocolate on a more intimate level, whether that reader is pastry chef, fellow chocolatier, or mere enthusiast; she offers instructions on setting up a "tasting flight" for chocolate after the fashion of wine and provides lists of online resources useful for purchasing and further education. 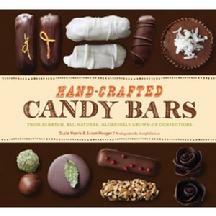 In addition to a wealth of savory and sweet recipes featuring chocolate, Norris' book delves into the varieties, origins, and uses of chocolate, as well as its health benefits, gift-giving potential, and topical quotes from fellow chocolate lovers. 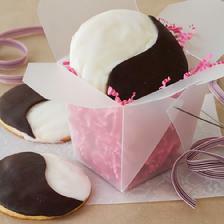 CHOCOLATE BLISS is a online guide to the world's great chocolate. Supported by 3 books, social media, articles, a blog, and a network of culinary professionals, this site offers on-going research into the origins, history, flavor, production and business of chocolate.